LazerArc is a division of Motion Index Drives, Inc. specializing in custom engineered indexing solutions providing a precision linear form of indexing. 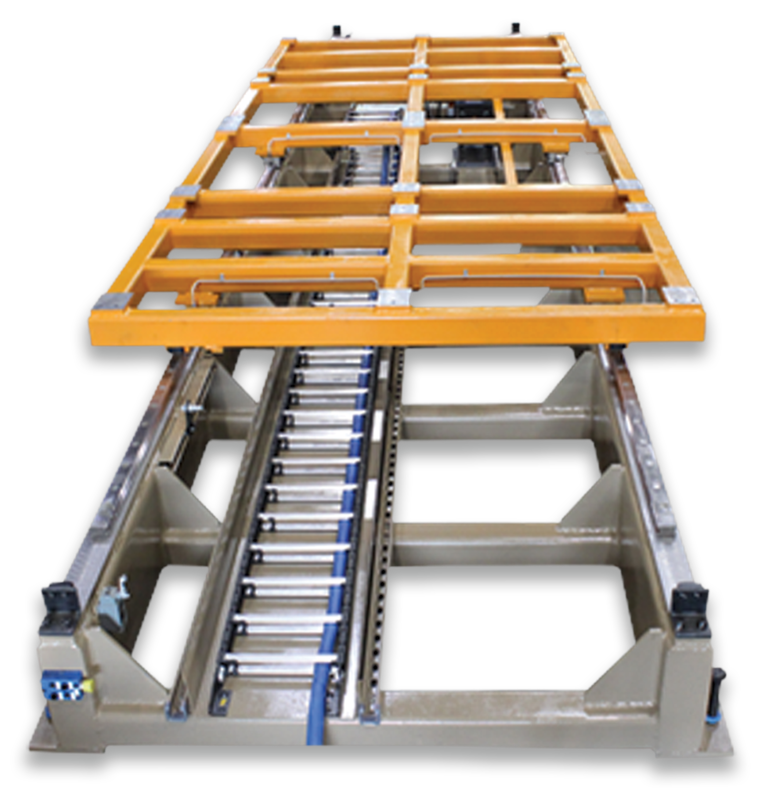 We utilize the highest precision guide rails, rack and pinion system to manufacture the Tool Tray Transfer System. We utilize a closed loop motor control system with high index speed capability and versatility to meet any automation challenge. Tool Tray Shuttles allow the manufacturer to run multiple models on the same line allowing you to reuse assets. This gives you flexibility to manufacture different products, saving floor space. Lazer Arc Tool Tray Transfer Systems are highly accurate, provide long service lives and are engineered to be low maintenance. The unique design allows for expansion in length enabling you to add tools and fixtures at future dates while keeping integrations cost down. The tools are easily interchangeable and the positioning can be programmed to interface with robots. The compact, low profile Tool Tray Transfer System is used to precisely shift tooling or parts linearly at a customer specified distances with a standard accuracy - DIN 6 on gear rack +/-0.0003”/ft . It has an infinitely programmable position through the use of an AC motor with encoder or servo motor control. It eliminates the use of typical shot pins required due to the gearing position and low backlash gear reducer. Our robust structural tubular steel construction is designed for easy maintenance and greater accessibility and over-sized linear bearings guide ways enable the transfer system to handle greater mass. The transfer system also has an integrated cable carrier option that reduces floor space consumption. Extremely high accuracy through the use of either AC motor with absolute encoder or servo motor control. To learn more about linear transfer systems applications and selection including tool transfer systems, visit our Guide to Precision Link Indexing Conveyors and Linear Transfer Systems.